L'archivio del 08/2015 di Tiziano Caviglia Blog. La polizia ha sfilato assieme a oltre 20 mila persone per le strade di Vienna durante la manifestazione di solidarietà a migranti e rifugiati in seguito al ritrovamento di 71 cadaveri di immigrati trovati in un camion abbandonato la settimana scorsa. I manifestanti hanno sollecitato una risposta europea più solidale sulla questione immigrazione che metta al centro l'essere umano e i diritti civili. È stata lanciata una campagna Indiegogo per finanziare il progetto Burning Man: The Musical. Il musical, diretto da Kyle Fasanella e scritto da Matt Werner, è una parodia del festival delle arti e della libera espressione che ogni anno si svolge a Black Rock, la città-campeggio che sorge per l'occasione in mezzo all'omonimo deserto. È il font dingbat, quelli composti da simboli, più famoso del mondo. La storia di Wingdings raccontata da Vox. As a means of writing sentences, Wingdings fails -- but that was never its purpose. It was created to be used as a unique tool for the pre-internet era. It was akin to emojis, but with even more utility. Today it's easy to cut and paste images from the internet, but it used to be a lot harder. There were few ways to get images, files were way too large for puny hard drives, and they were of poor quality. Even worse, it was tough to get pictures to play nicely with text. Fonts like Wingdings provided a workaround by giving people high-quality, scalable images that didn't clog up their hard drives. 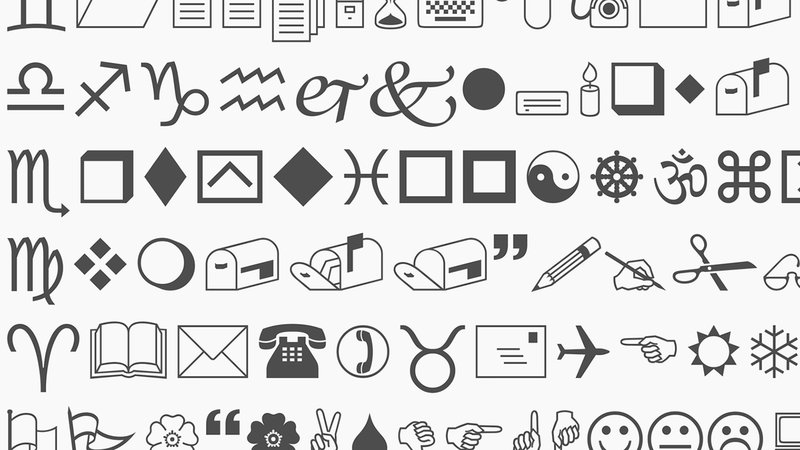 Two people made Wingdings happen: Charles Bigelow and Kris Holmes (proprietors of the firm and husband-and-wife team). As designers of the font Lucida, they crafted pioneering type uniquely suited to the digital era (you can read Bigelow & Holmes's thesis on Lucida's unique traits). They were protégés of legendary designer Hermann Zapf, whose own Zapf Dingbats font, another collection of odd symbols, broke ground when it was distributed with Apple Printers in the mid-1980s. Adrian Fisher, il progettista di labirinti più prolifico al mondo con all'attivo oltre 700 creazioni, raccontato dalla BBC. Dagli specchi alle siepi, un viaggio affascinante attraverso la storia di uno fra i rompicapi più antichi del mondo. Mazes date back to the ancient times, although the earliest form of maze – the labyrinth – had an important difference from most of those found today. Made famous by the tale of the Minotaur and the Minoan palace in Crete, a labyrinth has only one path leading to the centre. Its purpose wasn't to confuse. It was to lead a walker along a meandering path that encouraged contemplation and serenity. Although their purpose remains mysterious, labyrinths probably had a spiritual dimension. Later, with the rise of the Church, some scholars think labyrinths became associated with the idea of walking the difficult path of a Christian. By the Renaissance, nobles were building labyrinths at their palace gardens out of hedges – a way to amuse their visitors and to provide a particular path through their estate. And then mazes began to branch off with various pathway options and dead ends, designed to deliberately confound. Given its landscape tradition, it's no surprise that England became the home to many of those puzzles. The longest surviving in Great Britain, the trapezoidal hedge maze at Hampton Court, was commissioned in 1700; visitors can still get lost in it today. Il nuovo fuoristrada blindato multiruolo delle forze armate americane, che andrà a sostituire la Humvee a partire dal 2018, sarà prodotto dalla Oshkosh. Il Joint Light Tactical Vehicle, JLTV, ha battuto i progetti presentati da due giganti della difesa come Lockheed Martin e AM General. Sarà in dotazione dell'esercito e del corpo dei Marines.